Support from the United States, Pakistan and other Afghan allies is crucial to the success of reconciliation talks with the Taliban, Afghan President Hamid Karzai said in an interview with CNN's Fareed Zakaria that aired Sunday. 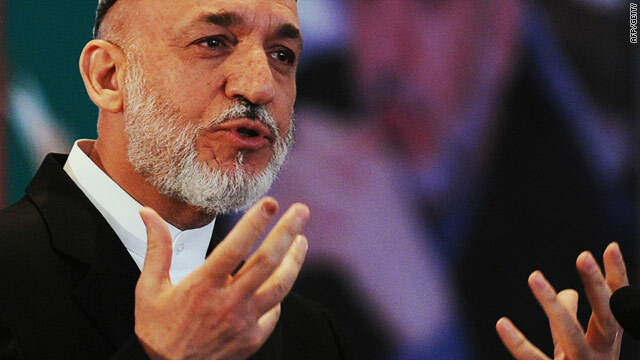 "The High Council for Peace is authorized by the Afghan people to talk with the Taliban," Karzai said. "These are initial contacts being made, but these contacts would not yield results, would not give us the results that we seek, unless and until the United States and Pakistan, especially, with our other allies, back it with practical application of the means that they have in their disposal." 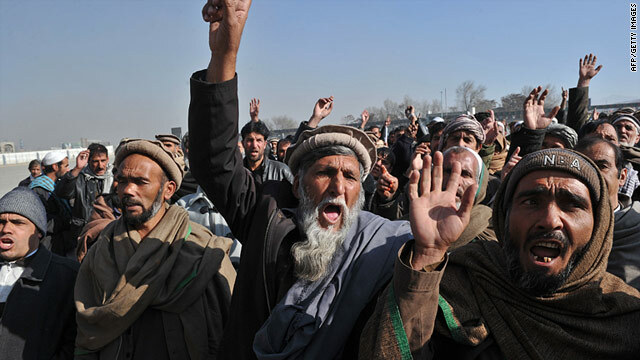 Afghan men demonstrate against paliamentary election results in Kabul on Sunday. Afghanistan's parliament will be inaugurated Wednesday, ending a political standoff, President Hamid Karzai's office said Monday. Afghan lawmakers met at a hotel in the country's capital Saturday morning to discuss whether to proceed with the inauguration of parliament despite President Hamid Karzai's decision to postpone the ceremony. Most of the 249 elected members of parliament debated the issue at Kabul's Intercontinental Hotel. They were expected to meet with Karzai later in the day and could also make a decision Saturday.